Dokes: "Building trust with viewers is everything, and the AccuWeather team understands that trust is earned." AccuWeather Global Weather Center - February 6, 2019 - AccuWeather, the largest and fastest-growing weather media company and global leader in weather-related big data, business and analytics, today announced the promotion of John Dokes to Chief Content Officer and President of the growing AccuWeather Network as well as the formation of a new Media Content Group. Over the past three years Dokes has played a vital role in bringing AccuWeather's forecasts and warnings with proven Superior Accuracy™ and compelling weather news content to millions of viewers and users, while guiding the AccuWeather Network's development and expansion. In this new role, Dokes will direct AccuWeather's Media Content Group-a strategic reorganization of the AccuWeather Digital Media Content and Operations (DMCO) and AccuWeather Network groups-to continue aggressively pursuing new expansion opportunities in weather news, information and video. Said Steven Smith, President of AccuWeather Digital Media, "John Dokes is not only a dynamic leader who will help AccuWeather expand our footprint, he is an excellent story teller who is committed to making it easier for the people who rely on us to plan their lives, protect their property and businesses and to keep their families safe. John will ensure AccuWeather continues to create compelling video content for our audiences across our multiple digital and video platforms for a truly personalized weather news experience our users can trust." Dokes joined AccuWeather as Chief Marketing Officer in 2013 and helped to reinvent and expand AccuWeather as the world's most trusted weather brand worldwide with initiatives directed at both consumer and business enterprise audiences. In 2015, he was promoted to Global Chief Marketing Officer and General Manager of the AccuWeather Network, a channel now available on DIRECTV®, Verizon Fios and Frontier cable systems. He has also continued to strengthen the only 24x7x365 "All Weather, All the Time" national HD weather network through innovative programming, proprietary forecast offerings, colorful, in-depth reporting and a dynamic and talented growing broadcast team. Under Dokes' leadership, the AccuWeather Network, launched in 2015, has achieved 340 percent growth. With more than 25 years' experience in digital and traditional marketing and a history of driving multi-million-dollar revenue gains, Dokes has worked with world-renowned brands, such as Marvel Entertainment and MTV Networks - Viacom. He was instrumental to the launch of Marvel Entertainment's digital content experiences and participated in the early marketing efforts of the Marvel Cinematic Universe as well as key publishing, video game and television initiatives. Dokes serves as a mentor with the National Association for Multi-Ethnicity in Communications (NAMIC), advocating diversity in the telecommunications industry, and on the advisory board of Culture Shift Labs, a consulting firm specializing in multicultural marketing communications. In 2018, Dokes was selected for Savoy magazine's annual, prestigious list of the Most Influential Blacks in Corporate America and was named one of the "Top 50 business alumni of California State University Northridge" - David Nazarian College of Business and Economics. With the creation of the Media Content Group and expanding field and studio capabilities, AccuWeather is poised to advance aggressive and strategic new programming initiatives as AccuWeather edges toward a leadership position in content creation and distribution. In addition to the AccuWeather Network, the company's weather news content and weather forecasts and warnings are available on AccuWeather.com, AccuWeather mobile apps for iOS and Android, and are featured in over 700 newspapers, on 700 radio stations and on more than 100 TV stations, as well as other digital properties. 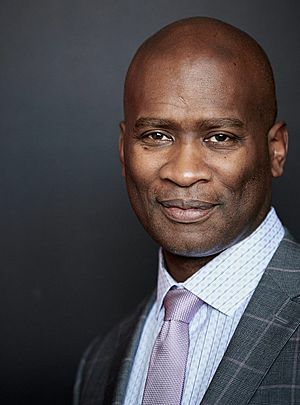 "The new Media Content Group combines the best of comprehensive weather news coverage on site and in-studio with gripping storytelling to help our users stay informed and make the very best decisions when weather is a factor," said John Dokes. "Building trust with viewers is everything, and the AccuWeather team understands that trust is earned. Our history of Superior Accuracy and our team's performance during this year's Hurricanes Florence and Michael, for example, kept our users and our audiences apprised of breaking news with superior and timely coverage and updates before, during and after these storms made landfall. Dramatic, exclusive footage gathered by our team, in the field, generated video views across our digital properties at record levels. I am so proud to be leading this strong, talented, dedicated and growing team, and I'm greatly looking forward to this opportunity to enhance AccuWeather's already rich content development." Among Dokes' reports in the Media Content Group are Trish Mikita, Vice President, Content, and Sarah Katt, Vice President of Content Operations and Video Strategy. A meteorologist, Mikita originally joined AccuWeather in 2000 and has served the company in various roles drawing on her digital product, news and strategic operation expertise. Katt joined AccuWeather in 2016 with a distinguished background in media, digital video and consumer products including her work at CBS Interactive, Verizon and New York magazine. Recently, AccuWeather was reconfirmed as the most accurate source of forecasts and warnings over the next five favorite weather sources in the categories of windspeed, precipitation and high temperatures worldwide in the most comprehensive study of forecast accuracy ever undertaken. Independent industry tracker ForecastWatch gathered forecast data including 95 million forecasts from 1,140 locations over a three-year period, and AccuWeather demonstrated the consistency and reliability of its forecasts, proving its wind speed accuracy to be 33% more accurate, its precipitation forecasts to be 21% more accurate, and its high temperature forecasts to be 10% more accurate than the next ranked provider's, respectively. AccuWeather, recognized and documented as the most accurate source of weather forecasts and warnings in the world has saved tens of thousands of lives, prevented hundreds of thousands of injuries and tens of billions of dollars in property damage. With global headquarters in State College, PA and other offices around the world, AccuWeather serves more than 1.5 billion people daily to help them plan their lives and get more out of their day through radio, television, newspapers, smart phones, tablets, connected TVs, the AccuWeather Network and AccuWeather.com. Additionally, AccuWeather produces and distributes news, weather content, and video for more than 180,000 third-party websites. Among AccuWeather's many innovative and award-winning features available free to the public are MinuteCast® Minute by Minute™ forecasts with Superior Accuracy™. Furthermore, AccuWeather serves more than half of the Fortune 500 companies and thousands of businesses globally. Dr. Joel N. Myers, Founder, President and Chairman, established AccuWeather in 1962 and is considered the "father of modern commercial meteorology." Dr. Myers, a leading creative thinker and visionary, has been named "the most accurate man in weather" by The New York Times and one of the top entrepreneurs in American history by Entrepreneur's Encyclopedia of Entrepreneurs. Note: To arrange interviews with John Dokes, please contact pr@AccuWeather.com.